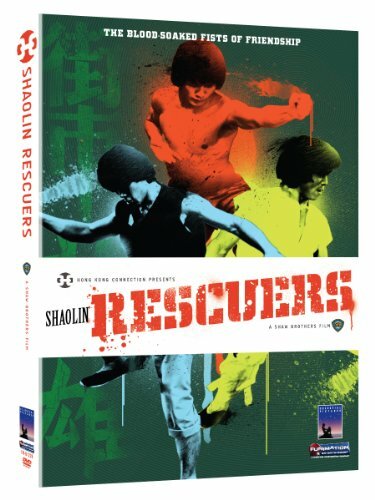 The legendary Five Venoms come together once more under celebrated director Chang Cheh (The Five Venoms) in Shaolin Rescuers. This spirited 1979 tale of heroism and friendship unites two blue-collar workers against a corrupt priest and his temple-terrorizing minions. Lo Meng (Hard Boiled) stars as a tofu maker, and Kuo Chue (The Brave Archer series) plays his sparring partner, a waiter with a talent for turning anything he touches into a weapon. When they meet a put-upon mill worker and a wounded Shaolin disciple, the action builds to one of the most thrilling final battles in the Shaw Brothers’ canon: a masterfully executed five-on-five brawl that puts an over-the-top arsenal of weaponry in the lethal hands of the Venoms. If you have any questions about this product by Funimation Prod INC, contact us by completing and submitting the form below. If you are looking for a specif part number, please include it with your message.